There is nothing broken or missing for this item. Acer S202HL / S231HL / S232HL / S242HL / G246HYL LED LCD Monitor. Acer S202HL / S231HL / S232HL / S242HL / G246HYL. 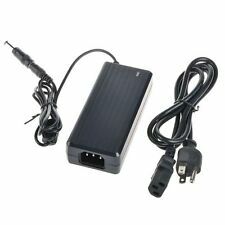 19V AC Power Adapter. Input: AC 100V - 240V;. Safety Features Thewarranty and the technical support - You can always turn to us for qualified help;. It's made to last and it's truly the largest difference between the stuff you "can get" and the stuff you must have to change the way you compute. Manufacturer: Dell. INCLUDES: A/C Adapter w/ 3- Prong Power Cable. Viewsonic VG175 VG181 VG191 LSE9901B1260 LCD Monitor. Output: DC 12V 5A. 2.5ft US Power cord included. SKU#: A LCD 07 G. Input: AC 100-240V, 50-60Hz. Power: 60W. SCP: Short Circuit output Protection. 1pc AC Adapter and 1pc Power Cord. Safety Approval: CE, CCC, RoHS. But we do not take credit card directly. Warranty does not include changing mind, wrong ordering and misuse. The input is universal from 90-240 VAC 50/60 Hz. 24 V at 6 A.
HQRP trademarked products. Delta ADP-40KDBB LCD Monitor. Output: DC 19V, 3.42A;. Input: 100V-240V AC;. Safety Features No problems, works fine, A . Hours of Operation. great product. fast respond. will dobussiness again. Samsung SyncMaster S22D300BY / S22D300HY / S22D300NY / S22D340HY TFT LCD Monitor. Samsung SyncMaster S22D300BY / S22D300HY / S22D300NY / S22D340HY. 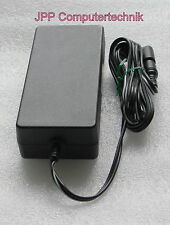 14V AC Power Adapter. Output: DC 14V, 3A; 42W;. Input: 100V-240V AC;. Model Code Model. LS27F352FHNXZA S27F352FHN. LS24F352FHNXZA S24F352FHN. LS24F350FHNXZA S24F350FHN. LS22F352FHNXZA S22F352FHN. LS22F350FHNXZA S22F350FHN. Worx Cordless Mowers, WG775, WG782 & WG783. (Battery Model Number WG3216. Mower Model Numbers, WG784 & WG 786. (Battery Model Number WA3217. There is no battery included in the sale. ). 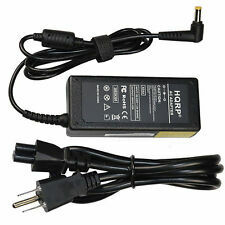 ® AC Power Adapter compatible with Acer S231HL, S232HL, S202HL, S242HL, G246HYL LCD Monitor. Acer S231HL, S232HL, S202HL, S242HL, G246HYL. HQRP trademarked products. Input: AC 100V - 240V;. Safety Features. AOC E2043FK-DT E2243FWK E2243FW LED LCD Monitor. 2.5ft US Power cord included. Output: DC 12V 4A. Input: AC 100-240V (worldwide use). Power: 48W. 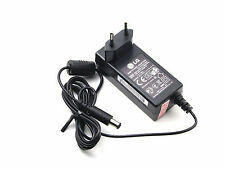 1pc AC Adapter and 1pc Power Cord Whole Set. Safety Approval: CE, CCC, RoHS. Warranty does not include changing mind, wrong ordering and misuse. To Replace and Compatible Model Number/Part Number But we do not take credit card directly. Samsung SyncMaster S24A300B LED Monitor. 2.5ft US Power cord included. Output: DC14V 3A. Power: 42W. Input: AC100-240V (worldwide use). 1pc AC Adapter and 1pc Power Cord Whole Set. Output Protection: Complete OVP, OCP, SCP Protection OCP: Over Current output Protection. SCP: Short Circuit output Protection. Safety Approval: CE, CCC, RoHS. 1pc AC Adapter and 1pc Power Cord. OCP: Over Current output Protection. Output Protection: Complete OVP, OCP, SCP Protection SCP: Short Circuit output Protection. Safety Approval: CE, CCC, RoHS. High efficiency and low power consumption. Acer AL1703SM 17" LCD Monitor. Output: DC 19V 3.16A. 2.5ft US Power cord included. Input: AC 100-240V, 50-60Hz. Power: 60W. 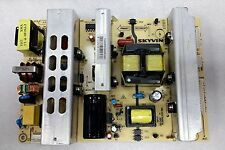 Harman Kardon SSA-60W-12 160150 SSA-60W-12160150. Output: DC 16V, 1.5A. Outlet: 2-prong. Input: AC 100-240V 50-60Hz. 2.5ft US power cord included. Just give us the opportunity to resolve a problem. We will work on resolving your particular case ASAP. Without car DC lighter plug input. SCP: Short Circuit output Protection. 1pc AC Adapter and 1pc Power Cord Whole Set. Output Protection: Complete OVP, OCP, SCP Protection OCP: Over Current output Protection. Viewsonic VA712 VA712B VA912b VS10696 LCD Monitor. SKU#: A LCD 15 G. Input: AC 100-240V, 50-60Hz. 2.5ft US Power cord included. Power: 60W. 1pc AC Adapter and 1pc Power Cord. Safety Approval: CE, CCC, RoHS. Warranty does not include changing mind, wrong ordering and misuse. To Replace and Compatible Model Number/Part Number But we do not take credit card directly. Original Apple Netzteil 150W für alle Cinema Display (30", 23", 20"). Cinema HD Display 150W Power Adapter. Ausgangsleistung: 150W. Ausgangsstrom: 6,1A. Output: 19V(Not 12V). 1pc AC Adapter and 1pc Power Cord. Output Protection: Complete OVP, OCP, SCP Protection OCP: Over Current output Protection. SCP: Short Circuit output Protection. Safety Approval: CE, CCC, RoHS. Viewsonic VG150 VG150B 15" LCD Monitor. 2.5ft US Power cord included. Output: DC 12V 3A. Input: AC 100-240V, 50-60Hz. Power: 36W. 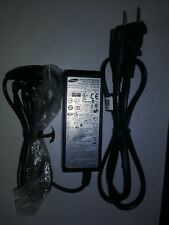 1pc AC Adapter and 1pc Power Cord Whole Set. Output Protection: Complete OVP, OCP, SCP Protection SCP: Short Circuit output Protection. OCP: Over Current output Protection. Safety Approval: CE, CCC, RoHS. Dell 2100FP 20" LCD monitor 0R0423 ADP-90FB(4-Pin Tip). Output: DC 20V 4.5A. 2.5ft US Power cord included. Connecter size: 4-Pin Tip (4 Prong). SKU#: A LCD 09 G. Input: AC 100-240V, 50-60Hz. Power: 90W. 1pc AC Adapter and 1pc Power Cord. Output Protection: Complete OVP, OCP, SCP Protection OCP: Over Current output Protection. SCP: Short Circuit output Protection. Safety Approval: CE, CCC, RoHS. High efficiency and low power consumption. 1pc AC Adapter and 1pc Power Cord Whole Set. Safety Approval: CE, CCC, RoHS. Warranty does not include changing mind, wrong ordering and misuse. OCP: Over Current output Protection. To Replace and Compatible Model Number/Part Number. 18V AC Adapter For Razer Leviathan RC30-012601 Elite Gaming & Music Sound Bar RZ05-01260100 RZ05-01260100-R3U1. 1pc AC Adapter and 1pc Power Cord. Output Protection: Complete OVP, OCP, SCP Protection. New humancentric Vesa mount bracket model 101-1019-v2 for sale. 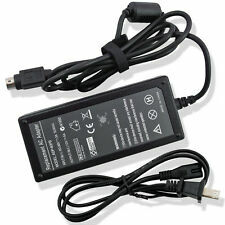 1pc AC Adapter and 1pc Power Cord Whole Set. Safety Approval: CE, CCC, RoHS. High efficiency and low power consumption. But we do not take credit card directly. Warranty does not include changing mind, wrong ordering and misuse. Imax B5 B6 LiPo Battery Balance. Output: DC 12V 5A. 2.5ft US Power cord included. Outlet: 2-prong. Input: AC 100-240V, 50-60Hz. Power: 60W. Viewsonic VA712, VA712B LCD Monitor. Output: DC 19V 3.16A. 2.5ft US power cord included. Input: AC 100-240V, 50-60Hz. Power: 60W. Just give us the opportunity to resolve a problem. We will work on resolving your particular case ASAP. SCP: Short Circuit output Protection. 1pc AC Adapter and 1pc Power Cord Whole Set. Safety Approval: CE, CCC, RoHS. Warranty does not include changing mind, wrong ordering and misuse. To Replace and Compatible Model Number/Part Number. 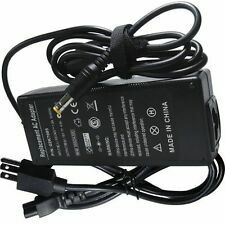 1pc AC Adapter and 1pc Power Cord Whole Set. Safety Approval: CE, CCC, RoHS. SCP: Short Circuit output Protection. High efficiency and low power consumption. Output Protection: Complete OVP, OCP, SCP Protection. Honor ADS-36W-12-2 1236L E221556. 1pc AC Adapter and 1pc Power Cord. Output Protection: Complete OVP, OCP, SCP Protection OCP: Over Current output Protection. SCP: Short Circuit output Protection. Safety Approval: CE, CCC, RoHS.